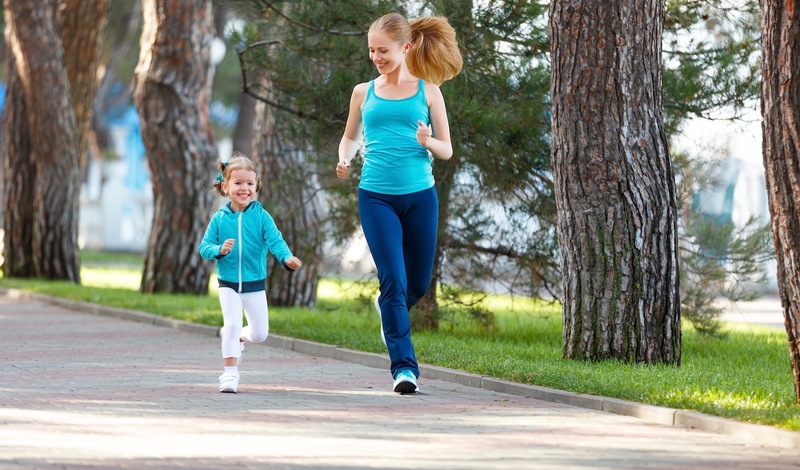 How to Keep Kids Active & Why Is It Important? Regular physical activity is crucial to ensuring children live a happy and healthy lifestyle. Research has shown that the children who are regularly taking part in sport of some kind are at a reduced risk of developing Type 2 Diabetes, are more likely to maintain a healthy weight and have increased bone and muscle strength. However, with busy working families and increasing demands at school, it can be a challenge for some children to get enough daily activity – approximately 80% of children across the UK are failing to meet physical activity guidelines – which significantly increases the risk of developing obesity and other serious health problems later on in life. Encouraging younger kids and teenagers to be active from a young age helps to set good habits and increases the likelihood that they’ll continue to exercise throughout their entire life. How Much Activity Should Kids Be Doing? It’s advised that children under the age of 5 should be playing actively for a total of three hours a day, whilst kids aged 5 – 16 should be active for at least 60 minutes every day. This doesn’t mean that children have to be solidly running for a few hours though, it can be accumulated throughout the day; riding a scooter or playing tag in the playground for example counts as exercise and accumulates to the overall figure. If you’re looking for ways to keep your children active, then look no further. Here we’ve provided some of our favourite ways of encouraging and inspiring your kids to live an active and healthy life. Whichever idea(s) you decide to introduce to your family, try to make it as fun as possible – children are far more likely to frequently exercise if they’re enjoying it. One of the simplest ways parents can incorporate physical activity into their children’s daily lifestyle is by walking or cycling to school rather than driving. It’s better for both your health and the planet, and fits in seamlessly with your normal day-to-day routine. Equally, whenever you go shopping or go to visit family, park some distance away from the final destination and walk the rest of the way. These little types of changes can be easily incorporated into everyday life and can make a massive difference. Virtual challenges are an ideal method of encouraging youngsters to regularly exercise: they task kids to run, cycle or walk a specified number of miles during a month in however many stints they require. It’s a challenge that needs to be completed over the course of a month, so is an incentive that will continually encourage children to enjoy the outside and get moving. Once complete, the children will receive a prestigious medal for their hard work and commitment. A lot of children have a competitive spirit, so whilst completing the virtual challenge, encourage them to try and beat their personal best. Use a stopwatch to measure their time over a specified distance, and every time you go out for a run with them, see if they can beat their PB. It’s a great way of motivating them to continue to regularly exercise – you’ll be surprised at how quickly their times improve. Another idea is to dedicate a certain time of the week to be active as a family – take the dog out for a walk, go out on a group bike ride or even just a gentle stroll to the shops and back are some simple examples. Your children are much more likely to exercise if they see that you are also taking part in and enjoying physical activity. Think of an activity that you can enjoy with your children, such as a virtual challenge, and aim to achieve the miles together. Whether it’s going swimming or having a water fight in the back garden, a good way of getting your children to be enthusiastic about exercising is to revolve it around water. Most kids love playing in/with water, so purchase some cheap water soakers and dig out the garden hose, or walk to the local pool for a swim. It doesn’t matter how old your kids are, water activities should keep everyone from toddlers to teens occupied. Here at Race at your Pace, we want people of all ages and abilities to find a love for running and fitness which is why we organise a wide range of monthly virtual challenges. It doesn’t matter if your child is regularly exercising or is only just starting to take part in physical activity, we have a challenge for all abilities! View our kids challenges here and enter today!